Even if you take great care of your garage panel there will come a time that you will need Garage Door Replacement. As we know nothing lasts forever. Garage panels will wear down after a period of time and you will need to replace it with a brand new door. 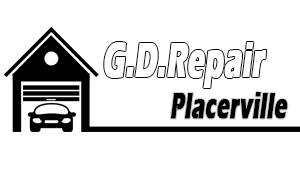 Garage Door Repair Placerville can handle all replacement/ installations. We can replace broken sections of the door, install a whole new panel or engage in garage door sensors replacement. We can provide panels in steel, aluminum, wood and glass. It is all a matter of preference and what you can afford. You can choose the style and color to match the design of your house. The panels can be insulated for higher energy efficiency and we can help you get the right measurements in your garage. Our supplies come straight from the biggest manufacturers and their quality is guaranteed. Today, garage panels add value to your house and will improve its curb appeal. For this reason, you should trust our products and our technical work when you call us to replace the existing garage door. If you have sectional doors, rest assured that we can replace the damaged panels efficiently. We are well trained and dedicated to our work knowing that the quality of our installation services will ensure the stability of the door and your safety. We are experts in all brands, can replace any residential and commercial door of any type and dimension. Our technicians are equipped to replace or install windows and they are also masters in garage door opener replacement. The expertise of our company's technicians is valuable when you seek for good professionals for garage door replacement. Our good knowledge is your guarantee that the new door and parts will be replaced properly and the door will move smoothly and be safe. We never miss to check every component before we replace the door to ensure if further replacements are necessary and you can be sure of our experience with any garage door repair.